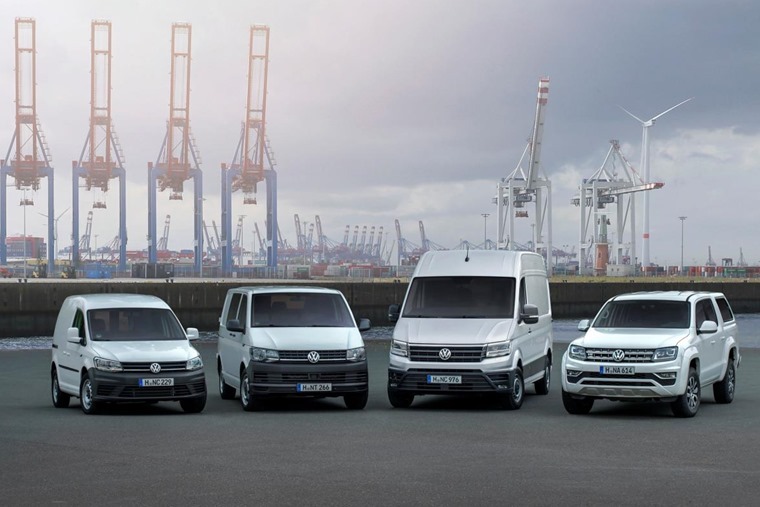 In the first three months of the year Volkswagen Commercial Vehicles delivered 114,700 vehicles to customers all over the world. Around the globe most vehicle model sales were up, with the Caddy range selling 42,700 vehicles (up 0.5%), the Amarok range selling 19,700 (up 7.6%) and the Crafter range up 13.5% with 12,000 vehicles sold. Alas the stop on deliveries of the T6 with passenger car registration, due to the discovery that they emit excessive nitrogen oxide levels, negatively impacted sales resulting in a 20.2% drop. Deliveries are expected to resume at the beginning of May, with VW expecting Q2 sales to recover. As a result, sales in Europe were down 12.4%, but saw a two-digit growth in South America (19.2%) and Africa (48.3%). 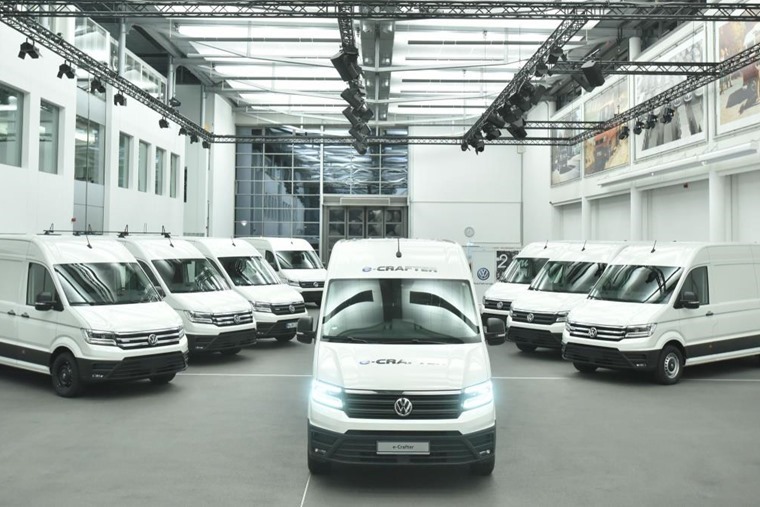 In light of the news now is an opportune time for the next era of VW’s commercial vehicle arm, with the eCrafter getting its big reveal at the upcoming Commercial Vehicle Show on 24 April. Following its debut, the eCrafter will undergo real-world testing at the start of May. Four organisations will take part in the tests: Gatwick Airport, Heathrow Airport, City of London Corporation and the London Borough of Southward, with VW incorporating the real-world findings of actual fleet usage into the design of the production version of the eCrafter. With a 100kW power output, total range is set to be around 100 miles, while top speed will be limited to 56mph. The eCrafter also gets a maximum payload of between 1.0 and 1.75 tonnes, and the same 10.7m3 cargo area as the conventionally powered Crafter.